After graduating from high school, Audrey attended George Mason University in Virginia. Raised by her Christian mother in the Baptist faith, Audrey sought to understand the role of religion in her life and to find a church to attend. She attended almost all available Christian churches in the area. One large congregation reminded Aubrey of her church at home, with thousands of attendees, where she could worship in relatively anonymity. Yet, she still felt unsettled spiritually. One day while online, Audrey visited mormon.org and requested a visit from missionaries of The Church of Jesus Christ of Latter-day Saints (often inadvertently called the Mormon Church). She had attended The Church of Jesus Christ with a high school friend and decided to learn more about that church. Check out Audrey’s mormon.org page. The missionaries visited Audrey and began teaching her the restored Gospel of Jesus Christ. Latter-day Saints, or Mormons, believe in God the Eternal Father, in His Son Jesus Christ and in the Holy Ghost. They invite everyone to strengthen their relationship with Deity through faith, repentance, following the Savior’s commandment to be baptized by immersion by one holding proper authority, and to receive the Holy Ghost as a constant companion. Mormons advocate daily prayer and scripture study, and attending church weekly to partake of the Sacrament, or Communion. Mormons believe the Holy Bible is the word of God as His first testament to the world. Mormons also believe the Book of Mormon is the word of God and stands as another testament of Jesus Christ’s divinity, and is a record of God’s people on the American continent. Mormons believe that God speaks to mankind today through living prophets, beginning with the Prophet Joseph Smith in the early 1800’s. 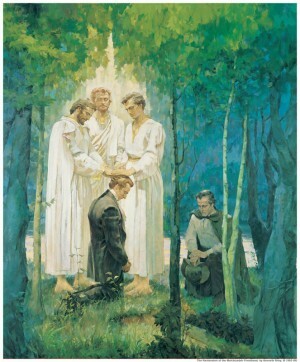 After studying the tenets of religion and wanting to obey God’s commandment to be baptized, Joseph Smith read James 1:5. “If any of you lack you lack wisdom, let him ask of God who giveth to all men liberally and upbraideth not.” Emboldened by God’s promise to answer his sincere prayer, Joseph knelt in a grove of trees to ask God which church he should join. God the Eternal Father and His Beloved Son Jesus Christ appeared to Joseph Smith! They told Joseph not to join any church, that the Gospel in its fullness was not found on the earth and needed to be restored. 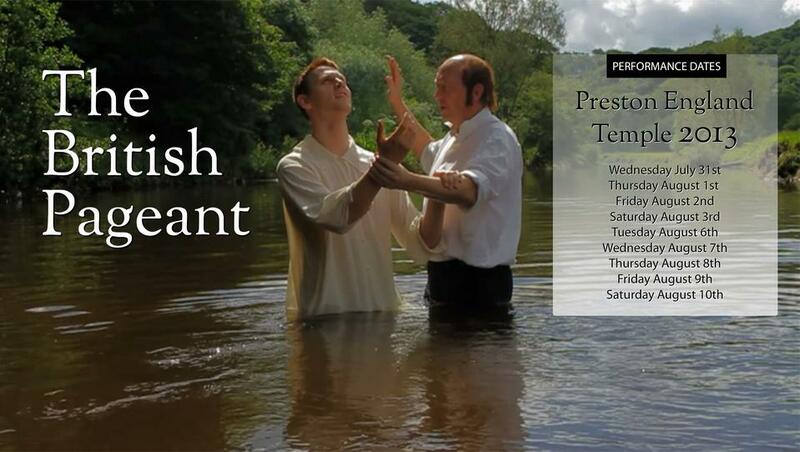 God revealed Himself to Joseph Smith and called Joseph to be a prophet. Joseph then taught others the true nature of God—that He is a resurrected being of flesh and bone, that He and Jesus Christ are two distinct personages, and that God still wants to guide His children today. Audbrey studied with the missionaries, and through her fervent prayers, felt the Holy Spirit confirm that The Church of Jesus Christ is the true church. She wanted to be baptized. When she told her parents of her desire to be baptized, they asked her to postpone baptism for at least a year to be certain of her testimony. She accepted their advice and postponed her baptism. During the summer break, she returned to Las Vegas, but did not continue attending church. Audrey felt a hole in her life. When she returned to George Mason, she began meeting with missionaries again. The missionaries she knew had been transferred to other areas and she did not feel the same connection with the new missionaries. Audrey’s new faith struggled. She decided to move across town, which put her in a new Latter-day Saint ward (Mormon congregations are geographically based). Miraculously, one of her previous missionaries was in her ward! Within two weeks, the other missionary transferred into the ward. God answered her specific prayer in a very specific (and astounding to those familiar with missionary work) ways. Audrey was baptized on January 21, 2012 and decided that day to serve a mission. She is currently in the Provo Missionary Training Center preparing to serve in the Washington Vancouver Mission. I don’t want to live to just be a Mormon; I want being a Mormon to bring light to everything else I do. We can search for happiness in the world, and for a season it may work. If we search for happiness in this gospel, it will not fade but only grow stronger. I know this church is true, but not because two missionaries told me so. I know this church is true because I swallowed my pride. I humbled myself. I spent countless nights on my knees in prayer asking the Lord if it was true. I have listened to the teachings of President Monson. I have read the Book of Mormon. This church has changed my life forever. I never want to be mediocre. I never want to look back on my life and wish I could have loved deeper or served better. This church has shown me to look at people and see their divine potential. I am so thankful for my beautiful parents, my wonderful family, and all of the wonderful people that have helped me get to this point in my earthly existence. Would you like to learn more about The Church of Jesus Christ of Latter-day Saints? Please visit mormon.org and request a visit from the Mormon missionaries.